Normally I am not one to being a prisoner of the moment. I tend to let things ride out. However, after seeing Knicks point guard Jeremy Lin drop 38 points on the hated Los Angeles Lakers (at least I hate them), I have one thing to say. Color me a believer. I mean, you cannot call this kid a fluke anymore. In his last four games, Lin has scored 25, 28, 23, and 38 points. He also dished out no more than seven assists in those four games. Let’s be real about something: my Knicks needed a point guard in the worst way. With the cast of characters New York has playing the position (Toney Douglas, Iman Shumpert), anyone other than those guys would have been an instant upgrade. Lin should bring out the best in Amare Stoudemire when he returns to the lineup Monday. Stoudemire is a pick-and-roll guy and should pick up his scoring when he returns. 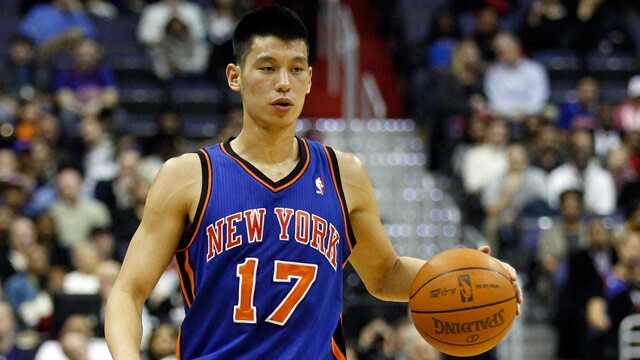 The joke going around New York is that when Carmelo gets back, he will instruct Lin to run the give and go. “Give me the ball and go to hell”.